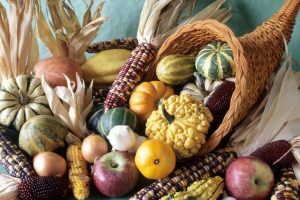 With Thanksgiving approaching next week, it’s the perfect time for a trip to you local farmers market! Give back this holiday season by supporting local farmers and small businesses! Below is just a sampling of what you’ll be able to find at market this Saturday! -Baked Goods – Lots of varieties to pair with dinner, or yummy goodies for dessert! -Eggs – Preparing your own desserts? You’ll need eggs! -Greens – Chard, Lettuce, Kale…all your greens for salads or sides! -Root Veggies – From Beets to Carrots to Leeks and more for all of your holiday needs! -Squash – so many varieties! Try something new this Thanksgiving! And of course, you can’t forget the turkey!! Stop by market this weekend to stock up!